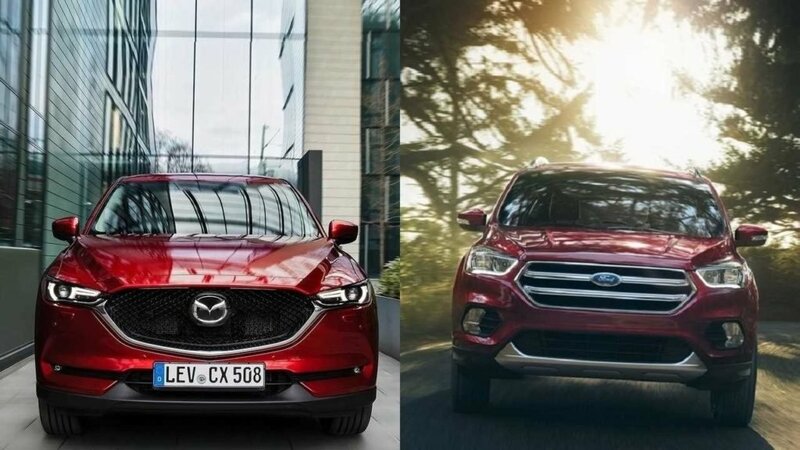 If you’re curious about the 2017 Mazda CX-5 Vs. Ford Escape, then stop by Island Mazda near Staten Island, NY to compare for yourself. A connection from the very first touch — passed from the hands of the craftsmen who created it. This is the philosophy behind Mazda’s human-centric design for crafting the interior of the 2017 Mazda CX-5 crossover. Thoughtfully selected textures and finishes. Perfect positioning of door handles and controls. An expansive and intuitive space designed equally for driving enjoyment and rejuvenation. For both its driver and passengers. Every angle and aspect of this best-selling CUV has been improved to make driving better, thanks to over 250 enhancements. With features like a quieter cabin and available stunning Metal Wood trim, Mazda designers and engineers accomplished it all without sacrificing driving dynamics. As a result, this carefully crafted and refined CX-5 achieves the impossible: the perfect unity of versatility, spaciousness, innovation and impressive efficiency, with up to an EPA-estimated 31 highway MPG. Weather and road conditions can change in an instant. That’s why available i-ACTIV AWD predicts when an all-wheel drive might be needed, monitoring everything from outside temperature to throttle input and braking patterns. It then preemptively optimizes torque distribution to help curb traction loss. You may never even notice the change. Which is exactly what Mazda intended. Ford Escape offers a line of three engines: The 2.5L with independent variable cam timing. The available 1.5L EcoBoost iVCT, the most fuel-efficient engine in the Escape lineup. And for more punch at the pedal, the available 2.0L EcoBoost with a responsive twin-scroll turbocharger. Both EcoBoost engines feature fuel-saving and emissions-friendly Auto Start-Stop Technology. Choose the combination of power and efficiency that best suits the road you travel. The available 2.0L EcoBoost engine delivers high performance along with efficient Auto Start-Stop Technology. The unique Twin-Scroll turbo design has two chambers — plus two exhaust runners flowing into the turbo. It gathers exhaust from pairs of cylinders in alternating sequence, maximizing pulse energy to the turbine wheel for quicker torque delivery when you need it on demand. Standard on SE and Titanium, the 1.5L EcoBoost is the most efficient Escape engine. It combines two technologies – turbocharging and direct injection. It also features Auto Start-Stop Technology to help reduce emissions and conserve fuel. Contact Island Mazda near Staten Island, NY to compare the 2017 Mazda CX-5 Vs. Ford Escape.